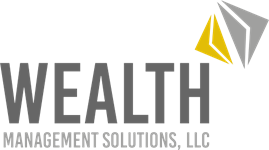 The financial consultants at Wealth Management Solutions are also registered with and Securities offered through LPL Financial, Member FINRA/SIPC. Investment advice and financial planning offered through Financial Advocates Investment Management, DBA Wealth Management Solutions, a registered investment advisor. Financial Advocates Investment Management, Wealth Management Solutions and LPL Financial are separate entities.